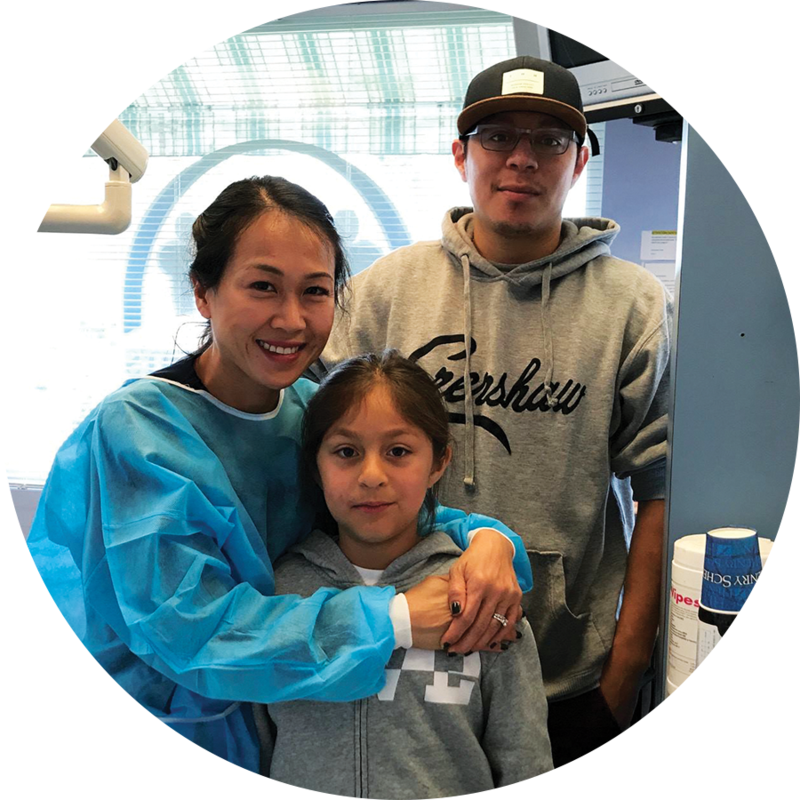 Prescilla’s initial visit to The Children’s Dental Center of Greater Los Angeles (TCDC) was her first-ever dental appointment. Though treatment was recommended at the time, her family was uninsured and unable to pay for her care out of pocket. A year later, Prescilla had developed multiple interproximal cavities that required fillings. Her parents were given consultation regarding the price of the treatment but again no follow-up appointment was made due to financial struggles. It wasn’t long before Prescilla returned to the clinic in extreme discomfort. She was unable to eat or sleep and had been missing school. TCDC reached out to America’s ToothFairy for In the Gap Program assistance as she needed much more extensive treatment including two extractions, two pulpotomies, two stainless steel crowns, two space maintainers, four fillings, and four sealants. The total cost of the treatment was in excess of $1,400, an amount far beyond the family’s ability to pay. Thanks to the support of generous donors, Prescilla completed her treatment and is back in school! With the proper preventive treatments, Prescilla's pain could have been avoided. Learn more about how YOU can help kids access annual preventive care as part of our Be the ToothFairy campaign.